Beach Birthday Party- Awesome Audio provided the lighting for this party. This level of lighting requires a lot of time. 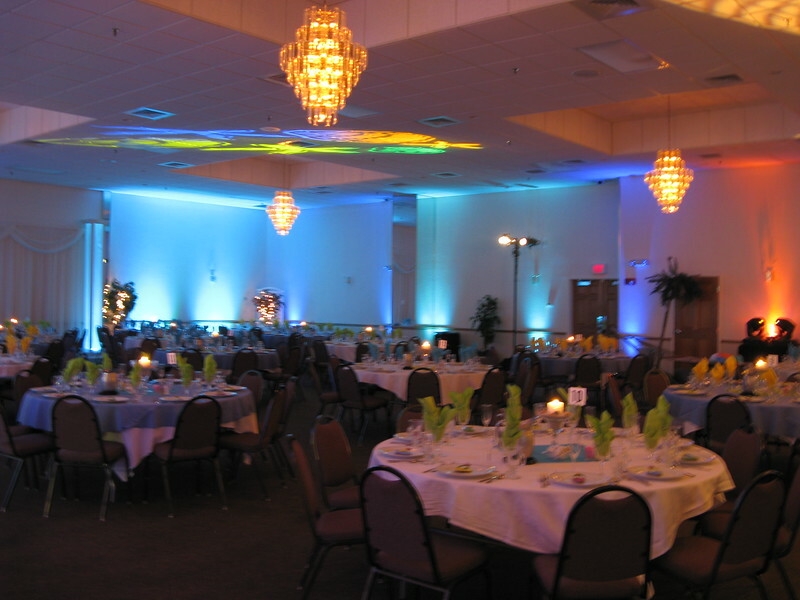 It took 3 guys most of the day to set up this room with uplights and ceiling lighting. It's difficult to get the effect in this picture, but with the lights down it gave you the feeling you were in a lovely blue aquarium! The tables were covered in blue and white with lime green, yellow and blue napkins.